After graduating Brown University with a degree in Sociology, Racial Ethnic Studies, Dr. Lewiss attended the University of Pennsylvania School of Medicine. She spent one year at the NIH in MD, as a Howard Hughes Research Scholar. Dr. Lewiss is a graduate and former chief resident of the Harvard Affiliated Emergency Medicine Residency program in Boston, MA. She is board certified in Emergency Medicine. She graduated in the first emergency ultrasound fellowship class at St. Luke’s Roosevelt Hospital Center in New York, NY. She had been Fellowship Director and Chief of the Emergency Ultrasound Division from 2003 to 2014. 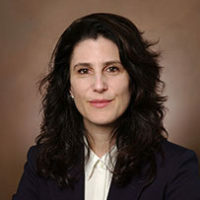 She served as the Director of Point of Care Ultrasound in the Departments of Emergency Medicine and Radiology at the University of Colorado from 2014-2017.